Want to smooth the surface of your skin and give it a bit of a lift that lasts all day? You have to try this mask – it really, really works. Put it on your holiday-gift wish list, now. 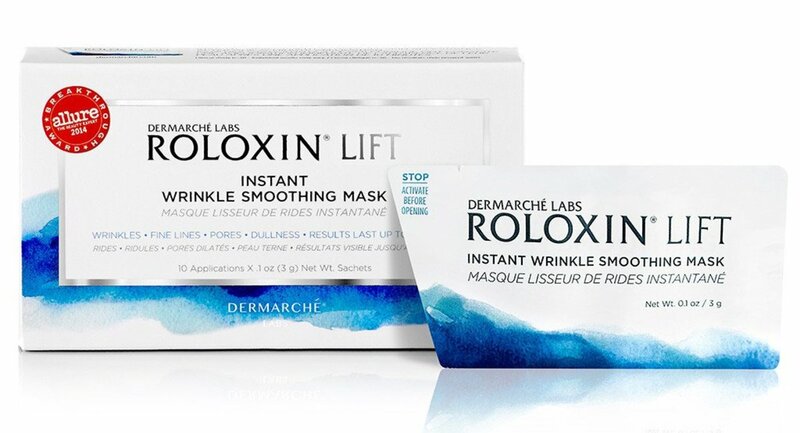 Dermarché Labs Roloxin Lift Instant Wrinkle Smoothing Mask – it has an updated name, I think! This little video shows a clear before-and-after (the moisturizer makes the After look quite dramatic; I didn&apos;t think to snap a shot after applying my skincare – doh! – next time). 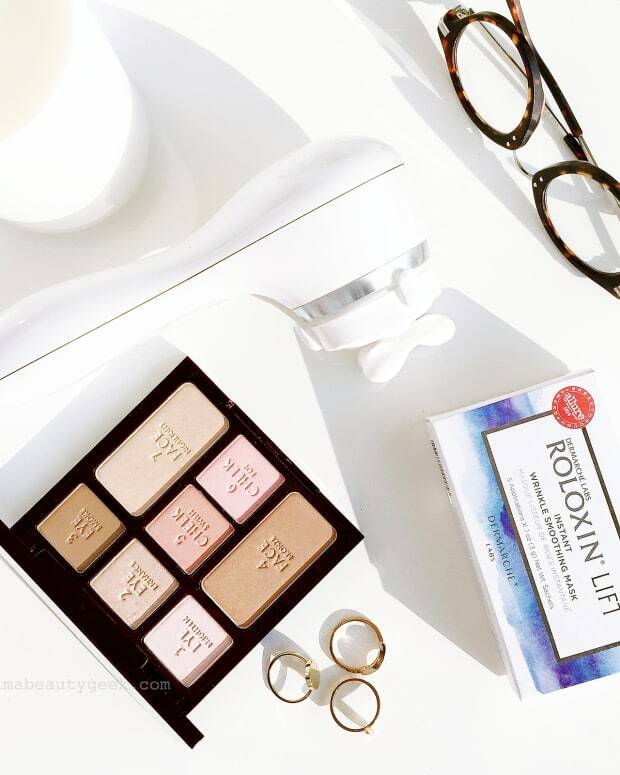 The way the Dermarché folks explain it, Roloxin Lift spins on water-loving and water-averse silica particles that form a weightless network over the skin. I see bouncier skin. Thank you Dermarché Labs; your Roloxin Lift masks slay. The above photo is from a sponsored campaign for Calvin Klein Euphoria (sponsored by CK, not Dermarché Labs). Before makeup and skincare, I used a Roloxin Lift mask (and geeked out about it on Instagram). Vigorously squeeze the unopened sachet all over for 20 seconds to activate the contents. You need to start with clean skin, so wash your face as you would normally. Pat dry, but don&apos;t apply softener, serum or moisturizer just yet. 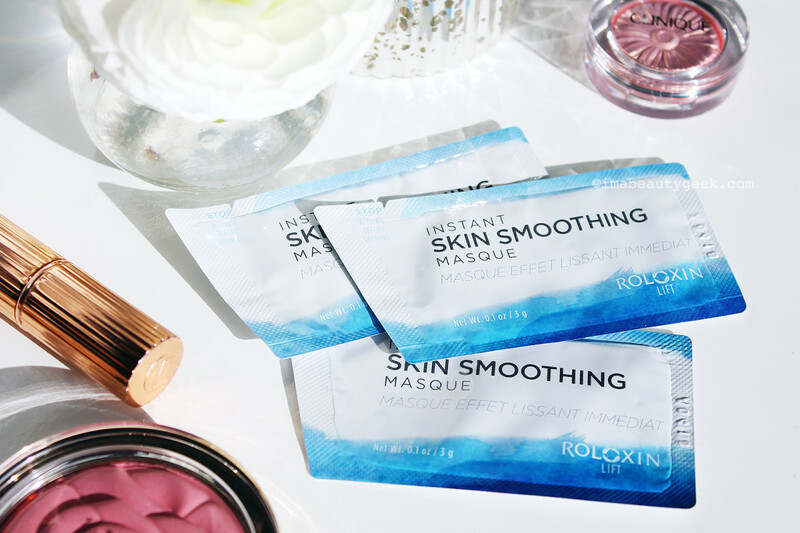 Open sachet and apply Roloxin Lift Instant Skin Smoothing Mask all over damp skin as per the video, and let it sit until it dries fully. Rinse gently and thoroughly, using just water and your hands. Pat face dry. Your skin will feel oddly sandy, but that&apos;s good – it&apos;s the silica "mesh" sitting on top of your skin, keeping it a little more taut and creating an unexpectedly smoother surface than you&apos;d think. Take a beat to admire your luminous complexion. Apply your skin softener, serum, sunscreen as usual. Apply makeup as usual. 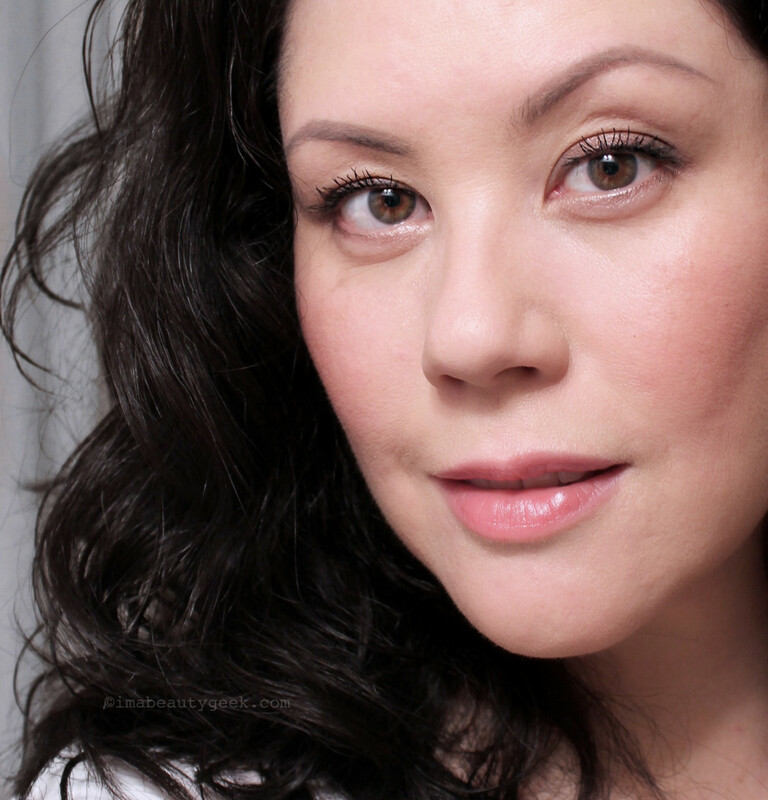 That&apos;s where you should really notice the extra bounce-back in your skin, and a smoother foundation application. 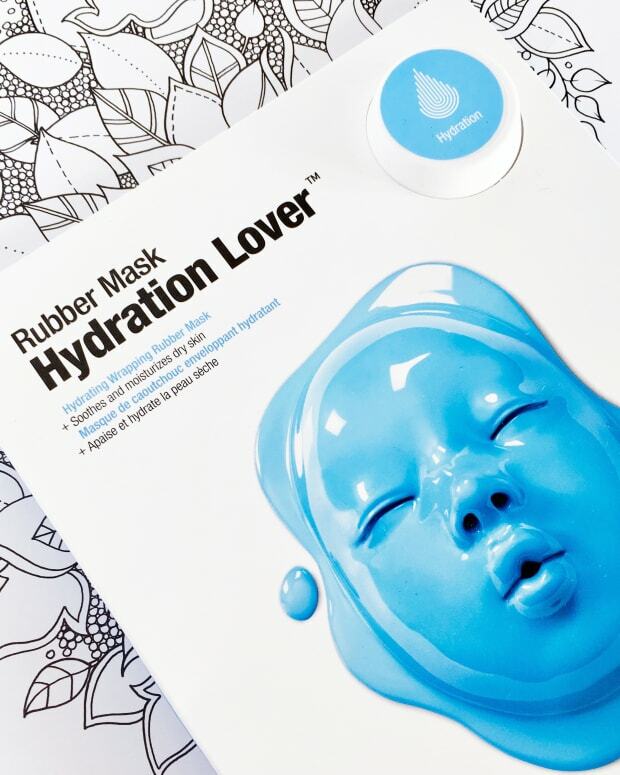 Have you tried this marvelous mask yet? I&apos;d put it on my holiday gift list if I were you, right now. 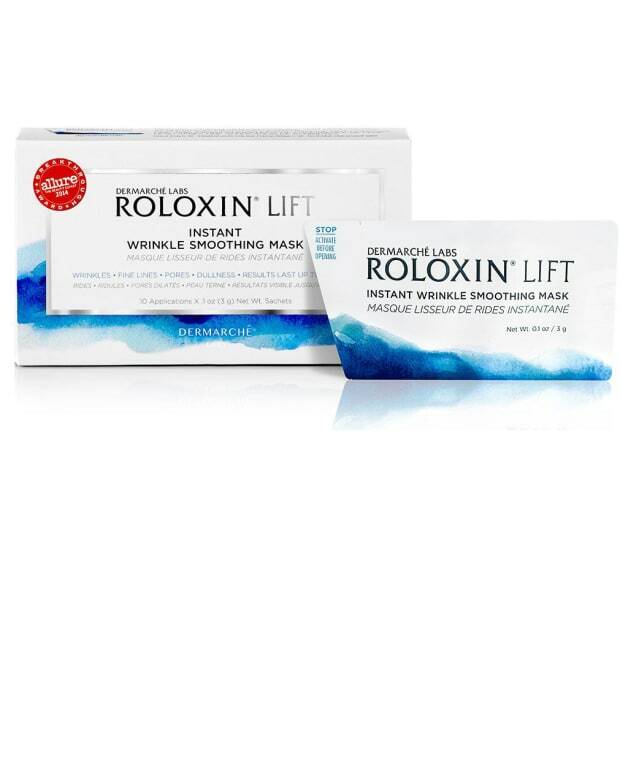 P.S: Roloxin Lift masks are really great for men, too – instant triumph over #tiredface.